According to astrology, Mars is considered to be the owner of banyan tree. Therefore, it is auspicious to wear the Banyan tree root (jadi) or vat vriksha mool for the peace of Mars. If someone wears Vat Vriksha Mool, its effect gives peace to the planet Mars. Also, you can get the blessing of Brahma ji with the root of banyan tree. Wearing this root not only helps you get mental clarity, but makes you more focused. At the same time, vat vriksha mool proves to be a fruitful solution for many diseases. 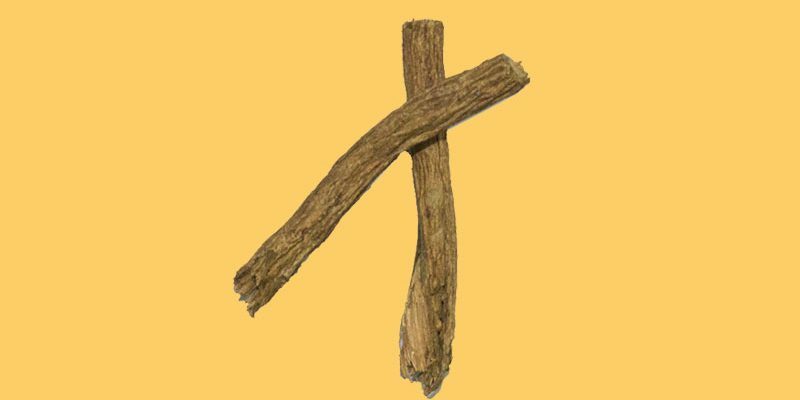 If this root is given mixed with milk then, it can be a great cure for women infertility. Before wearing the root, clean it with Gangaajal or raw milk. Wrap the root in the fabric and put it in the arm or wrist. You can wear it in the locket too. While offering diya or incense stick to Brahma ji, recite Mangal Mantra “ॐ क्रां क्रीं क्रौं सः भौमाय नमः / oṃ krāṃ krīṃ krauṃ saḥ bhaumāya namaḥ” for 108 times. After doing the above method, you can hold/wear this root on Wednesday or Tuesday or in Meghshira, Chitra and Dhanishta (Avittam) nakshatra. According to Vanaspati Shastra, rudraksha mala obtained from the fruit of Rudraksha seeds is taken for liberation from sin and from getting rid of various diseases. It’s trees are mainly found in South-East Asian countries like Sumatra, Java, Bali, Jaya, Nepal and Indonesia. Even in the Vedas, Rudraksha is said to be a holy seed, which is used in worshiping God and various spiritual deeds. Rudraksha is directly related to Lord Shiva, so for every person who holds Rudraksha bracelet receives the blessings of Mahadev. According to the astrologers, every rudraksha present in rudraksha bracelet has many types of holy powers, which help a person achieves the desired results, and hence, protects you from every evil force. This also increases the positivity in the life of the person. This bracelet is made of holy rudraksha which not only enhance its beauty, but adds to its value. Firstly cleanse the bracelet with gangaajal or raw milk. Then, while worshiping Lord Shiva, chant this mantra for 108 times and hold this bracelet. You can wear the bracelet in the arm or wrist. After holding the bracelet, stay away from meat, fish and liquor. To get maximum benefit of the bracelet, hold it for 12 to 14 hours a day. According to astrology, Turkish Evil Eye is a yantra that protects you from the evil eye of others. Turkish evil eye protects you from all kinds of negative powers and bad effects. Turkish evil eye is also known as evil eye protection yantra, that protects you from any kind of bad effect. You can keep it at the entrance of your home and office. Sprinkle ganga water and clean the evil eye. Worship the yantra with dhoop or diya. After this, hang it at the main entrance of your home or office. Place/Hang it in Shani Hora on Saturday. If you want to succeed in every sphere of life, then black horseshoe is a boon for you. The black horseshoe is related to the planet, Saturn (Shani). Anyone who holds it, receives the grace of Lord Shani. Along with this, there is prosperity in home and business. It is placed in the main entrance of the house or in the living room. According to Vastu Shastra, if the main entrance of the house is in the North, North-West or West direction, then the horseshoe must be placed at the main entrance of the house. This does not let any negative energy pass through the house. At the same time, happiness and prosperity arises in the house. Before installing the horseshoe, purify it with gangaajal or raw milk. Offer black sesame, dhup, diya or incense sticks to Bhairav ji and Shani Dev. While offering, chant shani mantra for 108 times. Install the horseshoe after sunset on Saturday or in Pushya, Anuradha, Uttara and Bhadrapada nakshatra.